Stuffed Portabello Mushroom as appetizer..
2 pieces of mushroom for 8 person? 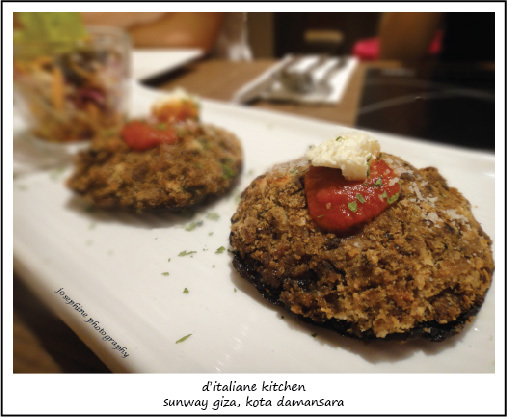 the combination of the marinated minced meat and portabello mushroom was so good! really delicious! not too milky but creamy enough... nice! 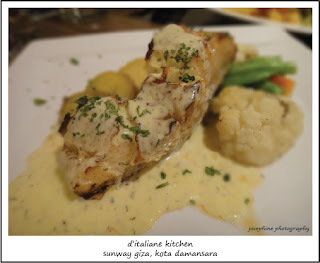 but we only saw potatoes...where are the asparagus?? Carbonarra Chicken Spaghetti...smell really nice! 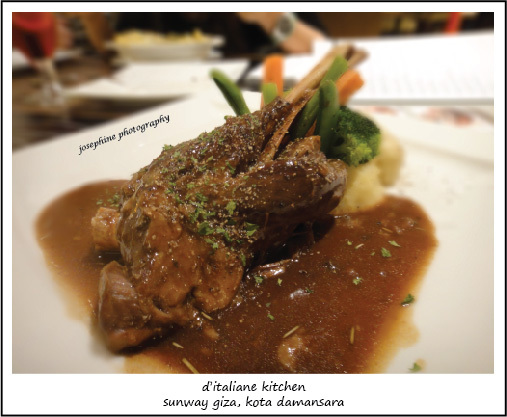 Jumbo Lamb Shank for only RM 32.90... worth it!! 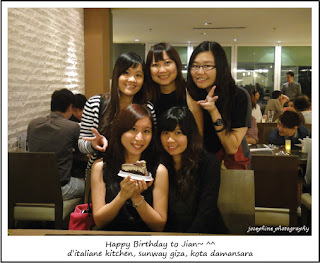 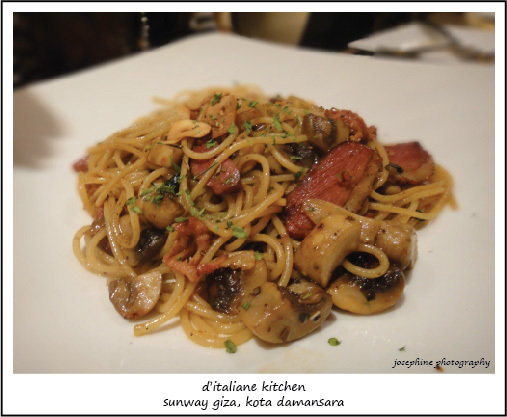 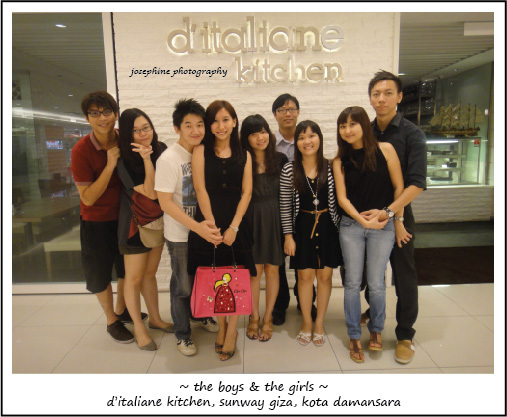 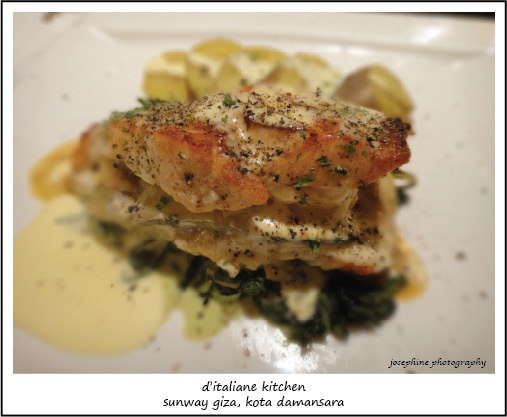 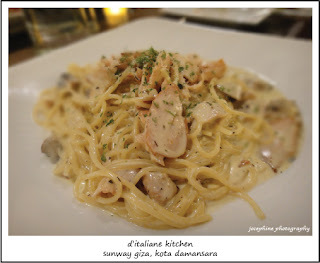 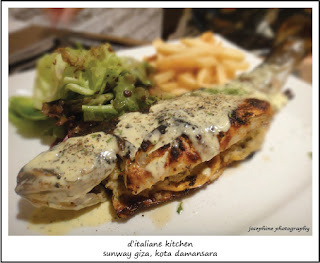 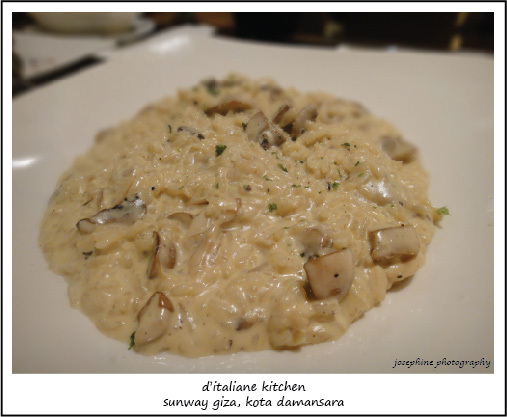 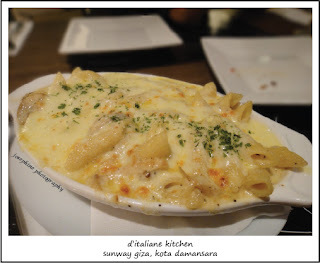 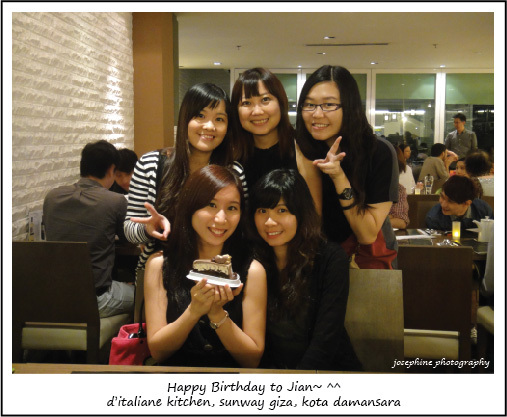 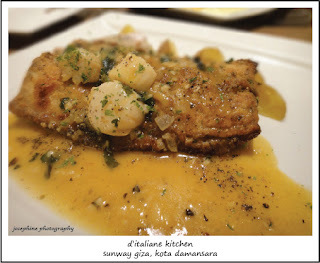 with the price they charged...is a MUST try in d'italiane kitchen! Address: Sunway Giza Shopping Mall, Block D, F.10, Kota Damansara, 47810 Petaling Jaya.